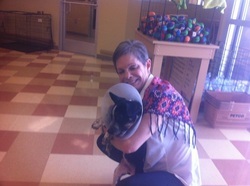 Rascal went home with the good Sam that found him. She just could not stop thinking about him and asked her son to adopt Rascal. She will be spending lots of time with her son and her Rascal. He went home in his cone of shame. 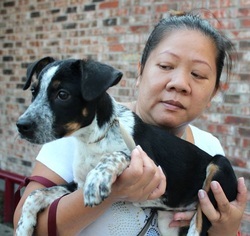 Roscoe is a cutie that was found by a good samaritan and brought into the rescue. He is a striking boy, He has been at Aldine Vet Hospital getting wall gussied up for adoptions and he is now ready to go!